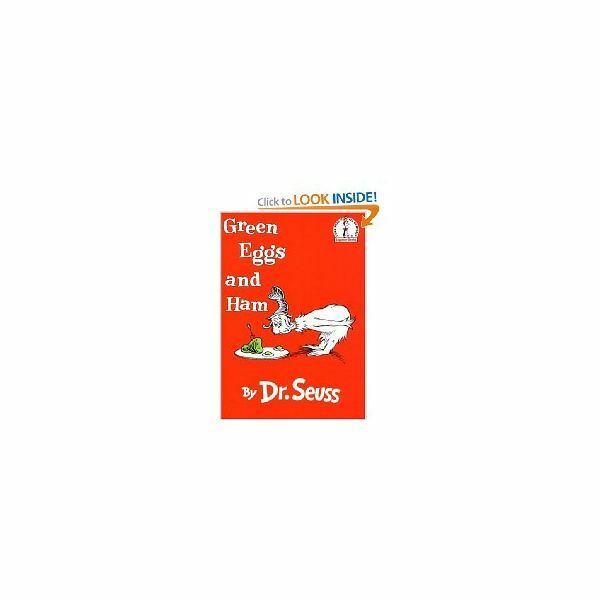 Those of us who are forty and under (and sometimes older) can remember the amazing literature we read as children; the books from the Dr. Seuss series in particular. We will never forget the beautiful rhymes and alliterations that seem to roll off the tongue while reading his books. Your students will benefit from his infamous artwork when you read the book Green Eggs and Ham. They will have fun while they are creating crafts surrounding the book’s theme; crafts that will help them produce art they will be proud to take home along with memories of when they read their first Dr. Seuss book in your classroom. Prior Knowledge: – You should introduce the children to eggs before actually going through this activity. You can introduce them to hard-boiled eggs and eggs that are cracked. Allow them to explore the egg in both forms by looking at the fact that one is runny and the other is solid. This is important for the egg crafts they will do later on within the themed project. NOTE: You will need to find out if any of your students have an allergy to eggs. If so, don’t allow them to ingest any part of the egg during the activities and crafts outlined below. Dr. Seuss, the author of other great titles such as The Cat in the Hat and How the Grinch Stole Christmas! also wrote Green Eggs and Ham. His series is a great addition to any child’s personal library. In this book, he tells a story of how we all should not be afraid to try new foods. It teaches us that we shouldn’t judge anything by the way that it looks; instead, we should be brave enough to try it before we say that we don’t like it. Your children will learn that having preconceptions can bring about misconceptions, but they will also learn about the wonderful food item: the egg. Discussion – Talk with the children for a few minutes after reading the book. You can ask them what they liked about the book. You can ask them if they have ever eaten green eggs or ham. You can ask them have they ever cooked an egg. Do they know where an egg comes from? Have they ever eaten any eggs before? Green Eggs and Ham – This part of the project is for demonstration purposes only. Soak one slice of ham in green food dye for a couple of days. You should use thinly sliced pieces of ham so that they will absorb the food dye. Pour a significant amount of the same food dye on two eggs and fry them. Place the dyed food selections on a white ceramic plate and cover it with plastic wrap. After reading the book, you can show the children the food and talk about their responses. Talk about whether they thought the food looked tasty or not. Materials: You need finger paint, stickers, markers and boiled eggs for this project. Instructions: Boil enough eggs for each child to have two, and add a few extras for those who might need replace one! Give each child two eggs and a small dollop of green finger paint. Allow the children to spread the paint over the eggs and dry. Once the eggs are dry, write their name or initials on the egg and add a few stickers. Inform the children they can eat them or they can save them and take the eggs home. Materials: You will need green paint, construction paper, boiled eggs, glue and markers for this project. Instructions: Boil the eggs and peel them. Collect the broken eggshells for later. Draw an oversized egg shape on the construction paper. Fill the empty egg shape with the eggshell pieces and glue. Paint over the broken eggshell pieces and allow the artwork to dry. Materials: You will need construction paper, glue and markers. Instructions: Draw the shape of an oversized egg on the child’s paper with a marker. Have the child pick two shades of colors for their craft; help them tear up both into quarter size pieces and smaller. Help the child glue the pieces onto their construction paper and let dry. Oral Assessment: Have the children sit in a circle and ask them questions about all they have learned from the crafts and the book. Pick at least two students: one who liked the way the food looked and one who was not so happy with the food selections. Have each child talk about the food. If there is a student who ate their green boiled egg, talk with them and ask them how they liked it. This should prove to those who ate the egg that just because the food looked a little different does not mean that it was not a good food choice. Your assessment should reiterate all they have learned within the Pre K theme on eggs. If the children are knowledgeable about the egg and the color green, then you have succeeded in your goal. If the children are familiar with some of the excerpts from the book that you or they recite, you have helped them absorb the material from the book. Displaying their work of art on the egg is a way of increasing their knowledge about the egg and the color green. You can point to the artwork and ask them what color the egg is? This will help them learn the theme: by repetition. In conclusion, learning about food early in life can never hurt a student. Learning about the color green through the book and crafts are great for the preschoolers. When they are allowed to see the visual of the green eggs and ham, this will bring the book to life for them. When they see the food is green in color like the book, they will be so excited. They will be amazed while they are being taught about green eggs and ham. Also see the article Preschool Egg Crafts for additional crafts using eggs for preschoolers.